Reshard Alexander, Esq., MBA, LL.M. is a solo practitioner attorney at RJ Alexander Law. His legal practice focuses on personal injury law, criminal drug charge law, and complex business litigation. Mr. Alexander is a graduate of University of North Carolina at Charlotte (Bachelor of Arts double major in Political Science and English, minor in Economics), West Virginia University College of Law (Juris Doctor), West Virginia University School of Business and Economics (Master of Business Administration), and University of Houston Law Center (Master of Laws in Energy, Environmental, and Natural Resources Law). He served as an editor on the Law Review board while attending WVU and as the Magister for the Phi Delta Phi Brooke Inn. His business background before law school is rooted in the healthcare insurance and legal industries as a former claims adjuster and paralegal. 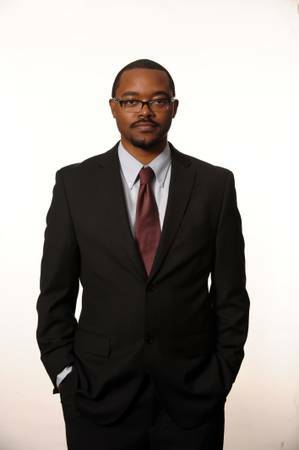 Attorney Reshard Alexander is a former North Carolina National Guard member crosstrained as a 13Foxtrot (Fire Support Specialist) and 13Echo (Cannon Fire Direction Specialist). He scored the highest physical fitness scores and Advanced Initial Training (AIT) scores in his battalion. Also, he has worked in a variety of commmunity-oriented positions (volunteer and paid) throughout the United States such as a low-income housing literacy teacher, teen and gang counselor, and elementary afterschool teacher. Additionally, Attorney Reshard Alexander has published articles in various media outlets on topics ranging from alcoholic beverage law, environmental law, business law, and international trade law. He is also a member of Houston Trial Lawyers Association, and Texas Trial Lawyers Association. Recently, Mr. Reshard Alexander became a member of the honorary group, The College of the State Bar of Texas. Currently, Attorney Reshard Alexander is licensed to practice law before the Texas Supreme Court, United States Court of International Trade, and Southern District Federal Court of Texas & Bankruptcy Court. He is also a certified international and domestic arbitration mediator through the Blakely Advocacy Institute.